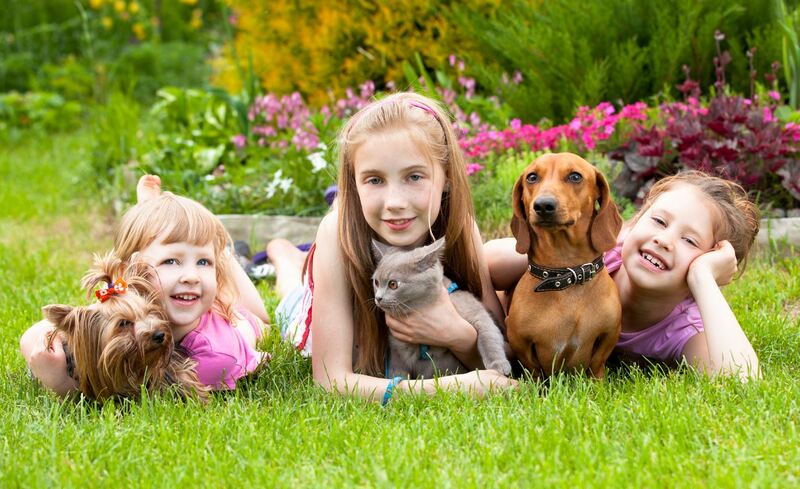 A pet is not only a lifelong companion, but owning a pet is also a rite of passage for a child. Whether your first pet was a hermit crab, a goldfish, a cat or even a dog, it will always be remembered. Getting a pet can often be a big step for a family to make, but did you know they offer so much more than just entertainment and fun for kids? Being responsible for another living thing can benefit your child's physical, social and cognitive development. Playing with a pet will encourage kids to put down their electronic gadgets and get outdoors into fresh air. Aside from breathing in fresh air, the outdoor play will mean your child and your pet will get excercise and burn any excess energy. Younger children will also benefit from playing with their pet as it will help their motor skills. Tasks as simple as playing catch will help hand-eye coordination in a fun way. Aside from the physical benefits, your child will also learn important social skills with a pet. Pets are particularly beneficiary for children who are shy, as they may feel they can approach other children who are playing with their pet, or even find the common ground of having a pet a way to bridge gaps between other kids who they may have been too shy to approach. Perhaps your new pet will also act as a social object for your child because animals are so accepting and eager to please. Research has shown that animals social nature can give humans practice for their own social relationships. They can see their pet as someone to talk to, trust and share an important relationship with. Pets also give kids a sense of responsibility, even if they may forget to feed the dog or walk it occassionally. Being given the task of feeding, walking or cleaning up after their pet will always be seen as a chore for your child but it also teaches them to think outside of their own needs and desires. It also allows the child to see the consequences that impact the pet directly when they do not perform these tasks. A general interest in the animal will also encourage cognitive development. Their excitement will spark interest in the animals breed, what they eat, what they like and dislike. This means they are learning and once they learn they will dissipate this information to you and their social circle.